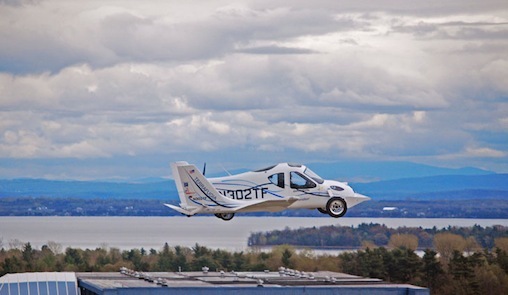 A Massachusetts company is one step closer to delivering its flying car after testing a production prototype. 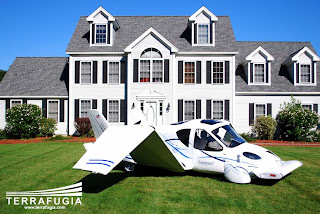 Terrafugia an aerospace company founded by pilots and engineers from MIT, has been working to get its Transition Street-Legal Airplane to market for the past few years. The company recently announced that the drivable plane completed its first flight at Plattsburgh International Airport in upstate New York in March. "The successful first flight of this Production Prototype Transition marks a critical move toward initial production and first delivery," said Anna Mracek Dietrich, COO of Terrafugia, in a statement. 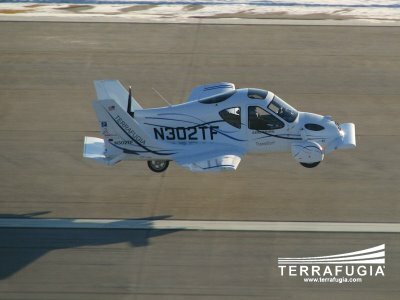 "Terrafugia will continue its testing program in preparation for first delivery, which is expected to occur within the next year." "With this flight, the team demonstrated an ability to accomplish what had been called an impossible dream," said Terrafugia CEO and CTO Carl Dietrich, in a statement. "We look forward to continuing to show that the challenges of bringing a practical street-legal airplane to market can be overcome. This is a very exciting time for Terrafugia." .The Transition's first flight reached an altitude of 1,400 feet above the ground and lasted eight minutes. The Transition Prototype Production will be on display at the New York International Auto Show between April 6 and 15 at the Jacob Javits Convention Center in New York City. Anyone flying the Transition will need a sport pilot certificate. The vehicle is designed to fit into a household garage.